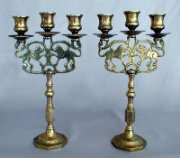 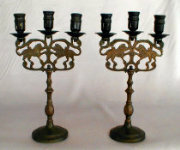 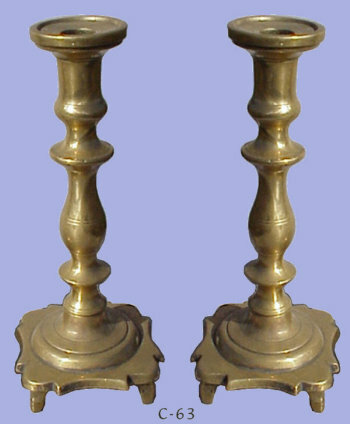 Late 18th/Early 19th Century massive brass Sabbath Candlesticks. 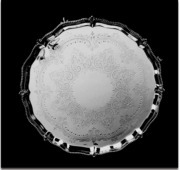 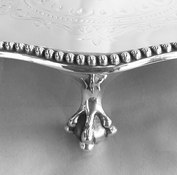 Footed base with trefoil motif and banding, with bladed knops and ample bobeche. 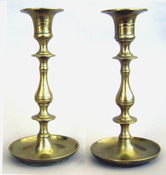 Hand turned screws for disassembly. 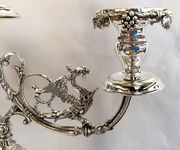 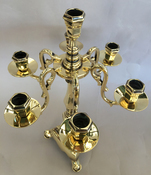 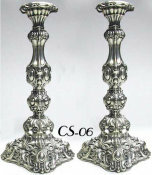 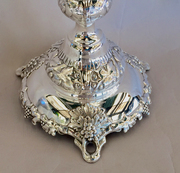 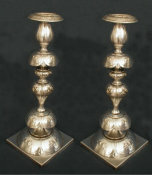 In the 1920's and thirties many antique candlesticks were replated in chrome, as a popular alternative to Silver. 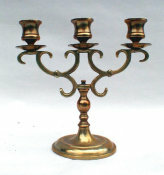 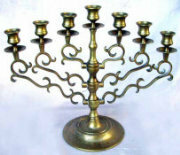 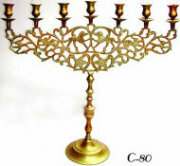 In The Cracow region of Poland, it was the custom to light 5 candles on Shabbos. 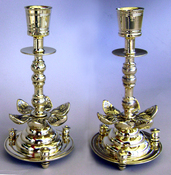 In many parts of Russia, it was forbidden for a Jewish family to own silver. 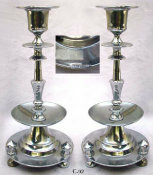 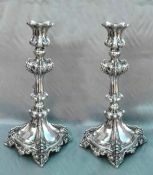 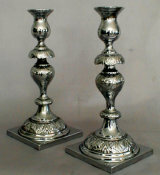 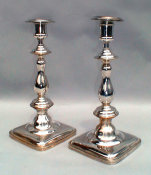 Silver Plate became the popular alternative and beautiful candlesticks that were once made in silver were now silver plated. 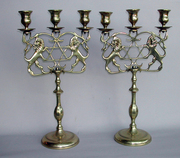 Admired by the Greeks and the Court of Charlemagne for its astonishing color, bronze was first produced by the Semitic peoples of Mesopotamia, the Turmanic - revered for their advanced metallurgical knowledge in 3000 B.C. 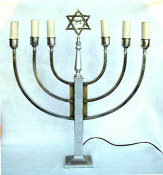 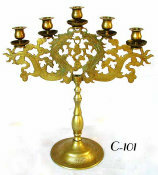 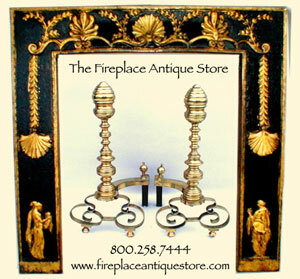 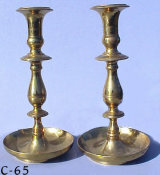 Antique Sabbath candlesticks are traditionally hollow so that the candles can burn down completely. 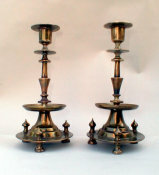 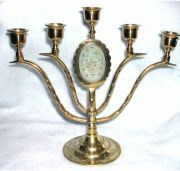 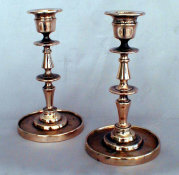 Other candlesticks are weighted with pitch or even plaster.